When do authors make their own ebook covers? There are a lot of answers to this. The obvious first answer is finances: some authors simply cannot or *do not* want to invest in their book by paying for a professional, marketable cover. It happens. I myself started out making book covers by having to make my own, which bled into making book covers for other people through Smashwords. Another answer is control. There are authors out there that feel like they must control simply everything regarding their baby. I have even had the odd client who – and I am not exaggerating here – would measure distances with a ruler on their monitor and ask me to make the most minute changes. Many times these authors feel they should make their own covers, too. Another reason would be that the cover artists, as talented as they are, simply cannot achieve the vision in the author’s head for that perfect cover. The author then ends up doing it themselves out of personal necessity. This might have something to do with control, but it more lends itself to artistic vision. 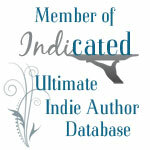 At the risk of hurting business, I thought I would share a secret that many indie authors know about today. It’s an old article discussing how to use Word to make your own ebook cover. It will help you floundering creative minds that need an answer to your cover problem, especially if you don’t know how to use the programs I and my comrade use when we set to work for you. But I’m not going to share it without some warnings. Wanna see some terrible book covers to give you inspiration? Try Lousy Book Covers. They’re great at keeping up with the horrible end of the ebook spectrum. Try to understand how book covers for your particular book genre actually look. Yes, there are guidelines to it. These guidelines are in place so your potential reader can look at your cover and think, “Ah! It’s a romance!” etc etc. Please learn them. People really DO judge a book by its cover! Beware of copyright issues with the images you choose!! Do not be surprised if the cover you make is too small as per ebook aggregator (such as Smashwords) guidelines. Make sure things are big enough! And finally, be prepared to end up spending money on someone who knows what they’re doing sooner or later. There are a lot of authors who start out making their own cover only to come to us and ask for a new one. Why, you may ask, am I willing to share this information, to help people to do things themselves, and to cut our business a bit? Just like before, there are multiple answers to this. First of all, and the least obvious answers, is that I like it when people learn how to fly on their own. Independence is good. Second of all, sometimes I and my partner end up too swamped to take clients. I’m not afraid to admit we’re very popular. Some of those clients don’t want to go to anyone else. Perhaps this information will help them. The remaining reasons are less professional sounding answers, and they’re not important here. Except for one. There is one reason that’s not the biggest reason, but it’s a thing that will get you blacklisted around these here parts. It’s incredibly unprofessional for someone to come to us with a horrible book cover, agree to our price, and then tell us they can’t afford us after seeing the design only to go off and repeat that design themselves. Or, more commonly, have hired someone else at the same time and go with that other person’s design instead. I feel that authors who play that game may not to do so if they know a little bit of what they’re doing in the first place. Therefore at the bottom of this article is a link to a very very good article to help people out. I know that the majority of authors genuinely can use this advice and truly deserve the help. And it will be good to see you guys fly on your own. Anyway, let’s see what magic you guys can create!